Dr. Paul Smith is originally from Arkansas. He received his B.A. in History with a concentration in World War II. His graduate studies focused on the Old Testament. 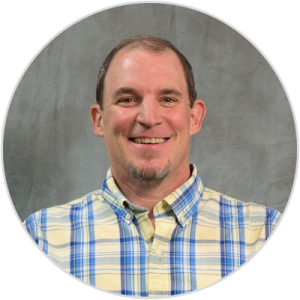 He has written several articles for evangelism magazines, as well as book reviews for theological journals. He has been a pastor for 32 years at churches in Arkansas, Louisiana, and Illinois. He is presently the pastor of First Baptist Church in Chandler, Arizona. Paul and his wife Jerri have four children: two girls, two boys, one son-in-law, one daughter-in-law, and two grandchildren. Paul enjoys hiking, mountain biking, playing the trumpet and bass guitar, and has a black belt in TaeKwonDo.